Zipline Canopy Tours of Blue Ridge is set on a 165 acres of beautiful North Georgia Mountain property, which is located about 15 minutes from the Adventure Park. 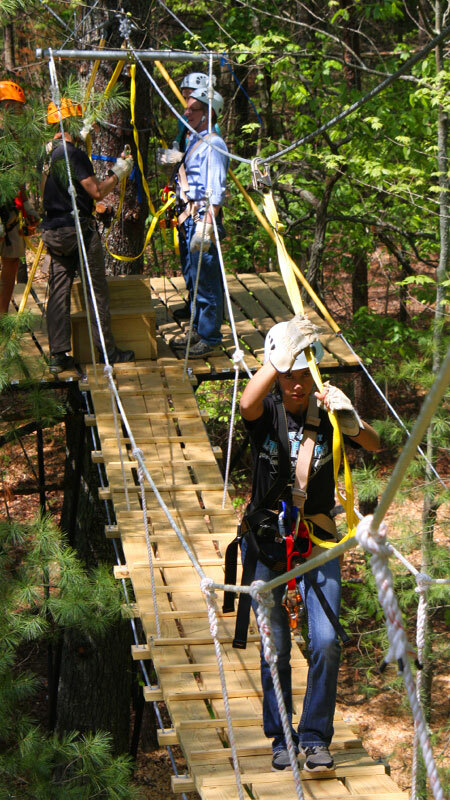 We offer a one-hour tour, featuring a half of mile of cable with seven multiple ziplines ranging from 150 to 550 feet in length. 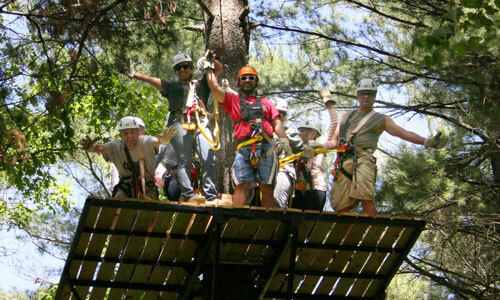 Plus we offer a two-hour zipline tour that features one mile of cable with 13 multiple ziplines, ranging from 150 to 1,000-feet in length and ranging from 25 - 75 feet in height. These tours are guided. You'll experience the mountains from the treetops, you'll zip into the valley, soar over pastures, and cross over Fighting Town Creek. With over 6,000 feet of cable, it includes 13 zips ranging from 250 feet to 1000 feet and 3 sky bridges. It's simply half of the 2 hour tour. 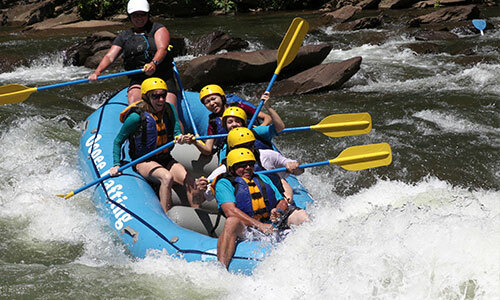 You'll love it, and it's a good way to get you ready for the longer adventure next time! 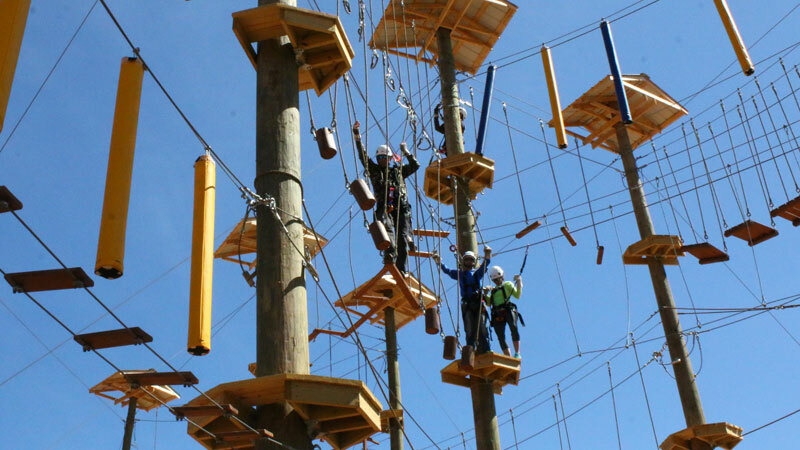 Blue Ridge's premiere Aerial Adventure Park is an obstacle challenge course in the air, featuring suspended bridges, tight ropes, climbing walls and other fun obstacles. 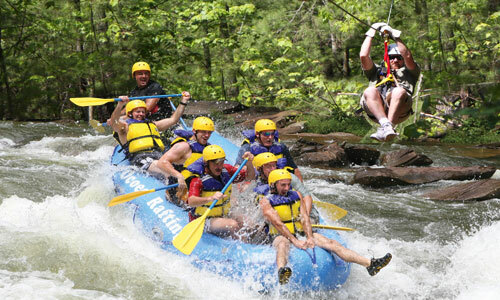 The property is what distinguishes a good zipline course, and the 165-acre tract of land that Blue Ridge Zipline Canopy Tours flows through is some of North Georgia's best. The course has over 6,000 feet of cable, allowing participants to zip for one mile through the beautiful Blue Ridge mountains. You'll experience the mountains from the treetops, you'll zip into the valley, soar over pastures, and cross over Fighting Town Creek. Our two-hour zipline tour features 13 ziplines ranging from 150 to 1000 feet in length, for a total of one mile of ziplining. 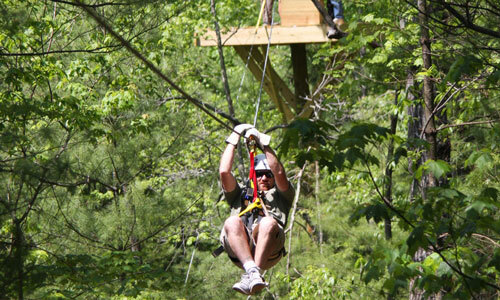 The one-hour zipline tour features 7 ziplines ranging from 150 to 550 feet in length, for a total of half a mile of ziplining. 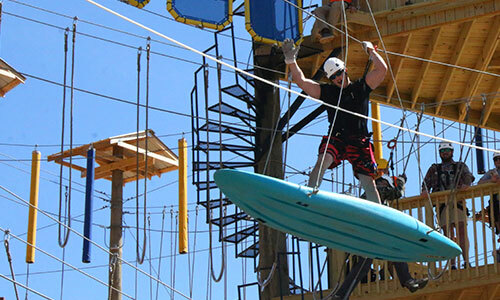 The height of the zipline platform decks range from 25 to 75 feet high. We're proud to offer one of the best zipline courses in North Georgia. 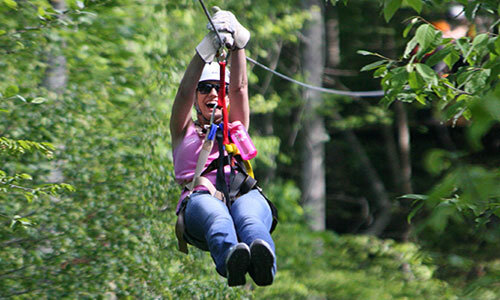 Many that have zipped all over the world have told us that Zipline Canopy Tours of Blue Ridge rates among the best. Come join us and you be the judge. We're located only 6 miles from downtown Blue Ridge, Georgia. During the winter months our Ziplines tours are limited, please check our calendar for dates and tour times. For parties of 4 or more we can open tours up on most any date providing we have several days notice, please contact 800-251-4800 for details. Unfortunately all our other outdoor adventure services are closed during winter months, however we can make special arrangements to open our adventure park for larger groups or a minumum purchase of $250 providing we have several days notice also.